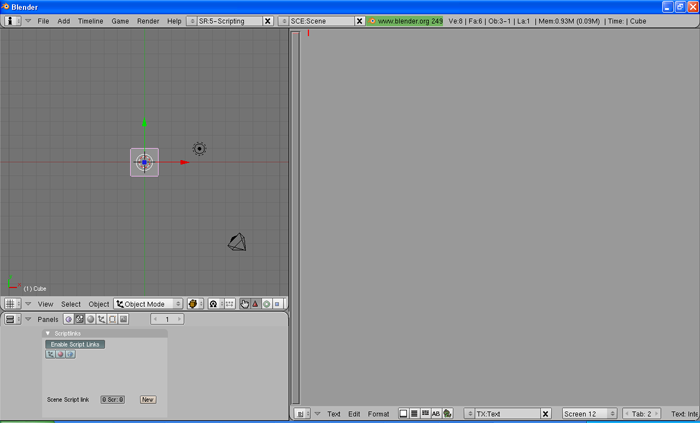 This tutorial introduces the basic interfacing between the Wiring hardware and Blender/Phyton http://www.blender.org/. The brief for the tutorial will be to read simple values from the Wiring board. It assumes the Wiring software and Blender/Phyton are installed and the proper Wiring setup has been previously completed. For more Information on Wiring install check out the tutorials about Wiring installation and software setup. Note: This tutorial have been proved it using Blender 2.49 which can be downloaded from here and Phyton 2.5 wich can be downloaded from here. Copy and paste the following code on the Wiring editor: Verify your program is free of compiling errors by pressing the Compile/Verify button in the menu bar. Press the Upload button in the menu bar. In case of syntax errors the Wiring environment will print the error messages otherwise it will print the Upload was completed successfully, the uploading process triggers activity in the Rx/Tx LEDs on the Wiring hardware. The new program will start automatically after uploading. Use the Serial Monitor button to watch the data coming from the Wiring board, then close the Serial Monitor again. * to the amount of light that hits the sensor surface. Download PySerial here. 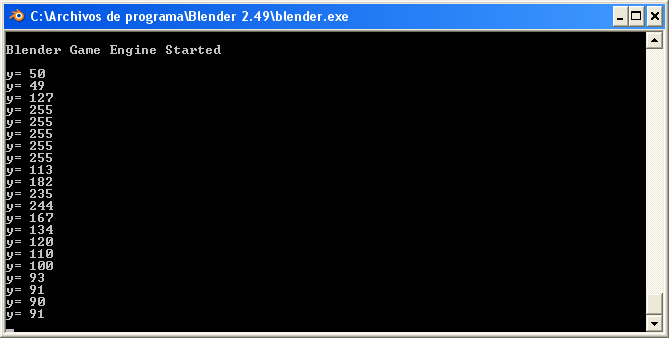 Uncompress the file and placed the folder "serial" with the other Python libraries for Blender. Next step is to setup things in Blender. Setup the interface to "Scripting" mode. 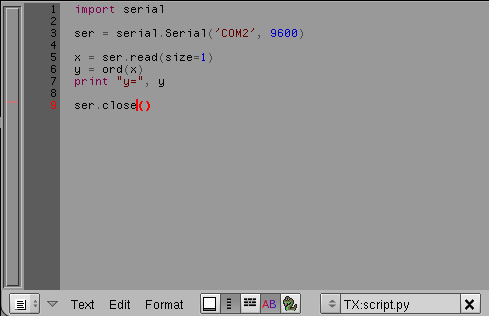 Copy the following code in the editor and name it "script.py". Attach an object. Select any object in the scene and click on its logic properties in the �Buttons Window�. Run the game engine. Click in the '3D Panel' and just press 'P'. The '3D Panel' should now change into the game view and numbers from wiring should appear in the console window. Next >> Sending data to the Wiring board from Blender/Python.